Weeping tile systems are a great place to start. 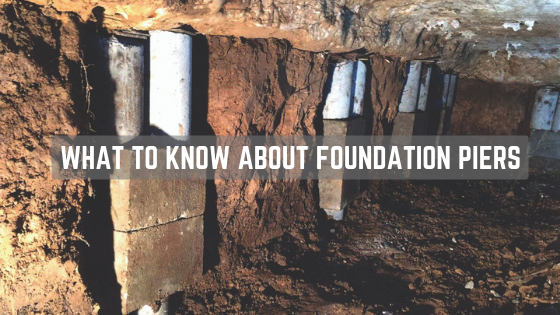 This is one plan that can help you prevent having a build up of water near your foundation. You are probably asking yourself right about now, what in the world is this weeping tile system? The simple answer is that it is a porous pipe used for drainage. 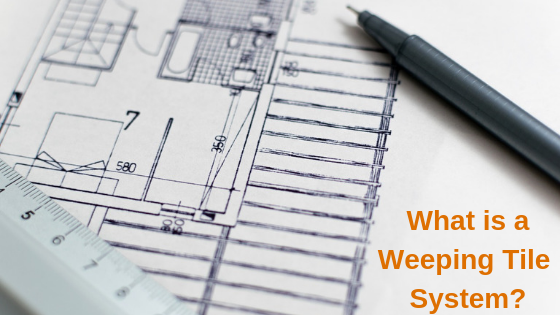 There are two basic ways to use a weeping tile system for your home. An interior system is installed inside the basement of your home. A circular saw with a concrete blade is used in conjunction with a chipping hammer to remove the concrete along the perimeter of the basement floor. Then the person installing the system will dig a trench that is one or two feet deep. There will already be some gravel beneath the concrete floor. However, you should add more gravel to the trench. A fabric covered PVC pipe with holes or slits is then placed inside of the trench. This allows for the pipe to drain well without clogging. It is important to place the slits on the pipe upwards. At this point you will need to place sufficient weeping tile on top of the pipe, ending at the sump pump. The concrete floor is then replaced. This process may be less money than the exterior for the install, however the mess made when cutting out the concrete slab can be extensive. For experience and quality crews, this mess will be nonexistent when the job is done. Laying an exterior system is similar to laying an interior system. A trench is dug around the outside perimeter of your home. It should be 12 inches wide and should slope one inch for every eight feet. It should also extend down to the footings. Pre planning is a good idea so that you can decide ahead of time where to relocate your shrubs and plants. You will have a lot of remaining soil left as well. The gravel you will add takes up room in the trench. You might want to decide ahead of time where to place the extra soil. You will be laying gravel into the trench next. Finally, you will add a rigid PVC pipe with holes. This pipe is popular for it’s durability. Wrapping the pipe with landscape cloth is a good idea to stop roots and other obstructions from getting inside. It is also good to leave a clean-out joint above the ground in order to make the maintenance easier. Covering the pipe with a combination of large gravel and soil will help the pipe to drain properly. Both the exterior and interior weeping tile system installs are labor intensive, therefore the money to install these systems can be costly. An exterior, full perimeter system can cost between $8000 and $15000 dollars to install. This does include the sump pump and accessories. The interior system will cost about half as much. Installing an interior system will also eliminate the need for the removal of plants and other landscaping obstructions. It is possible to put both the interior and exterior systems in by yourself. However, hiring a professional will save you time and the headache of learning as you go. Make sure, if you are attempting to install these drainage systems, that you have done your homework. You will need to buy or rent the right equipment for the job. You will have an easier time and the install will go quicker if you have someone else help with the project. Whether or not you have chosen to do the install or hire a professional, educating yourself is a must. Only then can you make a responsible decision on how to proceed. The good news is that after spending time on the installation of these systems, your foundation will be water free for years to come. This will create stability for your foundation and your family.